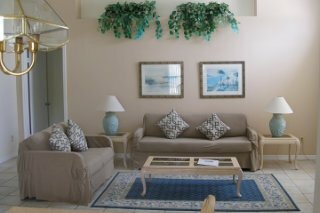 Each of our villas has three bedrooms, plus a sleeper sofa in the living room. This makes them ideal for families and family groups of six to eight. The interior décor is fresh and welcoming, the furnishings and fixtures are high quality, the pool is sparkling… and you just know you’re going to love it here from the moment you arrive. We have two villas, about half a mile apart. Air-conditioned, wifi-ready and equipped with everything you need. You couldn’t be better placed for access to the area’s biggest parks, leisure attractions and golf courses. 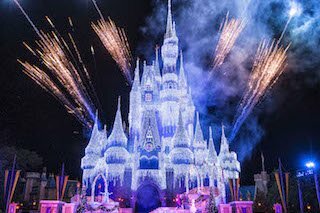 You’re just 15-20 minutes from Magic Kingdom Park, Epcot, SeaWorld, Gatorland, Animal Kingdom, Universal Studios, Disney’s Hollywood Studios, Aquatica and a whole lot more. You get the simple pleasure of staying in quiet residential area, but with excellent highway connections for fast, trouble-free travel. In between all the action and adventure, you’ll find all the rest and recreation you need on your doorstep. 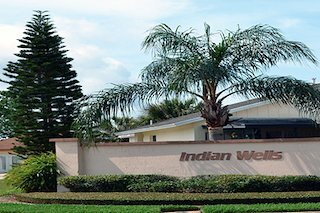 The villas are at Indian Wells, a fabulous community with a lake, residents-only swimming pool, tennis courts, basketball court and children’s play park. A few minutes’ drive away, you’ll find a wide selection of family restaurants and classic all-you-can-eat American dining. Plus Orlando’s biggest outlet shopping complex, Lake Buena Vista Factory Stores. Great location in terms of access to the parks – all within 15-20 minutes of the property – and easy driving. Also, very good supermarket just around the corner and lots of places to eat within a 5 minute drive. Very comfortable throughout – particularly comfortable beds. All the facilities you’d ideally want in the property including a well-equipped kitchen, wifi and washing/drying. Oh, and not forgetting the pool which was a good size – not just a ‘plunge pool’, extremely clean and a very comfortable temperature. Helpful and responsive service company in the US to support you if any needs arise whilst you are there. We had a minor issue with the wifi and they were onto it straight away and all over it until it was fixed. This is a large family home which was more than big enough for a family of 5 (3 adult children). The bedrooms were spacious and with plenty of drawer and wardrobe space. The master bedroom is very large with ensuite and walk in closet. The living areas, again very spacious and comfortably furnished. The kitchen was well equipped and had everything we needed. The home was spotlessly clean with plenty of towels and linen. We found the other advantages of this great home were its proximity to everything. Just a 2 minute drive from the Buenavista Factory Outlet shopping with all of the stores everyone loves and then 2 minutes in the other direction and you have a good selection of restaurants (including smokey bones which my kids love) and mini golf. Of course the main attraction of any visit to Orlando is the parks and here we were just a 20 minute drive away. All in all a really lovely, spacious house close to everything.